The Samsung Galaxy S10 5G is a masterpiece device and is considered to be the 10th-anniversary phone in the S series. It comes as a surprising change due to the classic appearance the huge screen lends to the device. As it marks the 10th edition to the S series of the flagship devices unveiled during the 2019 press conference, you can expect a lot more from the phone. For now, it is the first in line among the other variants of the S series that are likely to be released in 2019. 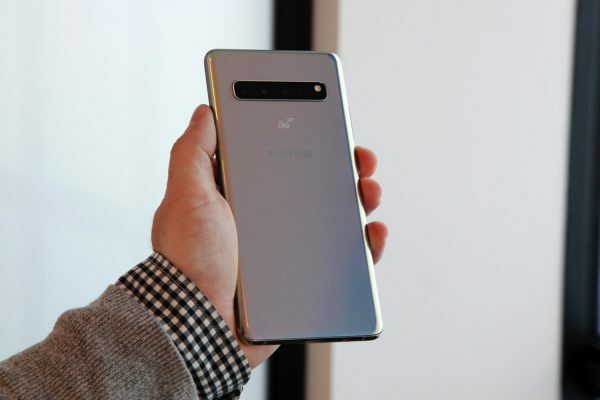 Even though the company has already unveiled the Galaxy S10 5G during the San Francisco event on February 20, 2019, the phone won’t reach the hands of the consumers until June. As a matter of fact, all the variants of the S series of Smartphones can be ordered now, but the S10 5G is most likely to be available in the stores only from the first week of June. The starting prices of the device are $899 and GBP 799 for the 128 GB storage model; so the consumers have to spend additional money when the launch price of S9 is taken into account. Even if the phone is not going to land into the consumers’ hands very soon, the announcement of this device from one of the largest smartphone manufacturing giants can make one feel like great guns blazing for 5G. It seems that the phone has a lot more to offer to the customers than mere data speed. The Samsung S10 5G is the splashiest version from the Galaxy S10 range. For the beginners, the display is going to bring in a lot of surprises as it is bigger with a whopping and all-new 6.7-inch panel, a total weight of around 198 g, making it around 40 g higher than the regular S10 model. On the whole, you can expect the size to be similar to Samsung Galaxy Note 9. The phone is also a way thicker, although not more than 0.14 mm. It comes as a relief for those customers who believed that the inclusion of 5G is going to make the smartphone much thicker than the previous devices of this company. Despite including the 5G antennas and a bigger battery, the Galaxy S10 5G is only a tad thicker than the regular S10 device. 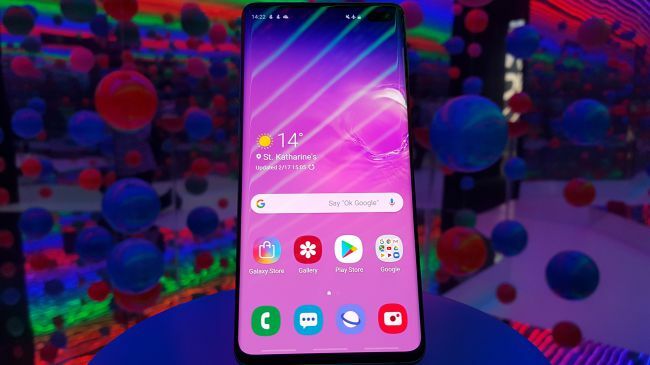 The other key features of Samsung Galaxy S10 5G are pretty much same with the cutting-edge Snapdragon 855 or the Exynos 9820 processor onboard for an absolutely breathtaking performance. However, to make the model 5G ready, Samsung has also included the Snapdragon X50 modem from Qualcomm. The in-display fingerprint scanner, the blazing fast wireless charging, and the Wi-Fi 6 support clearly score over the other models. No wonder, the device is going to set itself apart. 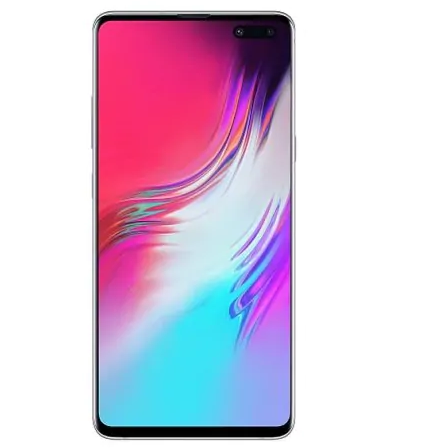 With all the features and the specifications, Samsung Galaxy S10 5G is designed to be a full-fledged flagship device instead of an early adopter model. However, the Galaxy S10 5G is not going to offer everything to all the consumers as the spec sheet of the company reveals that the 5G model will only come with one memory option of 256 GB. Although that seems to be a lot, for now, the 1 TB and the 512 MB configurations will not make an appearance. Moreover, the micro SD card slot is going to be missing, making it a deal-breaking option for all those consumers who prefer the swappable and portable storage option. Contrary to the compromises the company has made in the 5G model, the inclusion of the 3D-depth sensing camera is an advantage. The 6.7-inch screen comes with an AMOLED panel and 3040 x 1440p resolution with 502 ppi and 19:9 aspect ratio. The Samsung Galaxy S10 5G has a 4500 mAh non-removable battery. The device comes with fast wireless charging 2.0 and also includes Wireless Power-share. The ultrasonic fingerprint scanner is embedded into the device and has a 2D face unlock system. The 3D depth camera lives up to its claims and measures the distance between the camera and the object within the field of view. This feat is accomplished by illuminating the scene within a controlled source of light such as infrared and also measures the time and the luminosity of the back-scattered light. The implementation of Samsung shows that the company has probably used two sensors that suggest the role of stereo vision for calculating the distance. The 3D depth-sensing camera is not new as we have already come across this feature in Lenovo Phab 2 Pro. 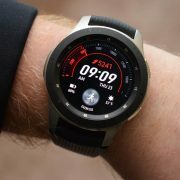 The upcoming LG G8 ThinQ might also feature the time-of-flight sensor and this device like many others intends to bring in the augmented reality applications to the masses. 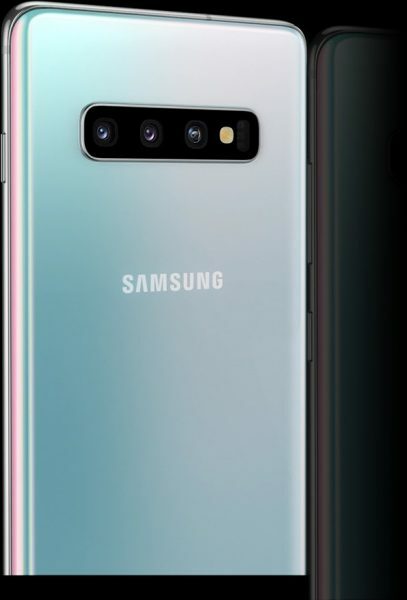 Coming back to Samsung Galaxy S10 5G, the company presents the resolutions of these cameras as hQVGA, which is about 240 x 160 pixels or 0.0384 megapixels. Certainly, it does not appear good enough to take the nicest and the most gripping clicks, but the resolution is enough to obtain plenty of depth information into whatever the camera points. More importantly, the Galaxy S 10 5G comes with the 3D depth cameras both at the front and the back. When it comes to the front camera, the use of this technology is going to facilitate the production of highly accurate and high-quality software bokeh meant for the portrait pictures. The restricted resolution of the camera makes it less suitable for biometric security and face mapping. On the back portion, Samsung has introduced improvements for the Quick Measure and Video Live Focus which appears to resemble the Measure app from Apple. What makes the back camera exciting is the prospect of real-time augmented reality mapping in the environment. The back camera can support different kinds of applications, and the 3D mapping feature has some interesting consequences for virtual reality as well, something the company supports with the Gear VR headsets. It seems that the 3D depth camera is a more interesting feature than the 5G speed. Compromise in Samsung Galaxy S10 5G with 5G bits? The transformation to 5G may create a space for a few compromises in Samsung Galaxy S10 5G due to its extra-large size. Apart from this, the company needs to find more room for the inclusion of the mmWave antennas and the modem. Quite naturally, the huge size of the device also makes it necessary to include the 4500 mAh battery, which is also larger. You might expect the battery to last the entire day or serve its functions more than the rest of the smartphones in the market, but the 5G is surely going to eat away more power. It seems that the large battery has been included in the model to maintain the screen-on time similar and comparable with the expectations of the customers. However, let us keep our judgments latent until the set hits the stores. The fifth-generation mobile network technology that follows the 4G LTE promises to bring lower latency high data speeds, but not many networks of 5G are available yet. However, the US carriers are expected to rev up the movement through 2019 to 2022 even though the nationwide coverage is a far cry for now. There are a few select cities that may fall in this zone, so the 5G network does not appear to have good prospects in the immediate future and the users need to fall back on the option of 4G LTE when 5G service is not available. 5G is a complex feature and the Samsung Galaxy S10 5G supports the non-standalone part of the feature as expected from the first series of smartphones. Even though the phone only supports the early 5G NSA networks, it is not future-proofed against the same network that is likely to arrive in 2021 or 2022. Probably,the consumers need to show more patience until the Snapdragon X55 modem starts appearing in the other devices towards the end of 2019 for moving into the future-proof standalone support. Samsung is one of the first major smartphone manufacturers to include a cryptocurrency wallet in its latest flagship Galaxy S10 phones. The wallet allows the users to store bitcoin called Ethereum, and a beauty-related cryptocurrency called Cosmo Coin. It’s a cold storage wallet, which implies that the users will need no internet connection. The Galaxy S10 phones also support selected decentralized apps or Dapps. Presently, Samsung’s main Dapp is called Cosmee, and it allows the users to earn Cosmo tokens in exchange for leaving special beauty reviews in the app. Samsung also announced its support for the cryptocurrency called the Enjin Coin, which is an Ethereum-based digital currency for the gamers founded in South Korea. It might support contactless payments using cryptocurrency. Samsung is one of a few smartphone companies that have unveiled blockchain-related phones and this surprising trend could also influence some of the other players in the market. However, we are not sure whether the 5G model will also include this capability. 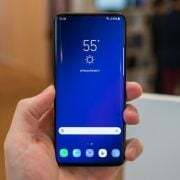 For now, the consumers have to wait for a few more months for Samsung Galaxy S10 5G to make an appearance in the stores.